Spread in a total of 13,240 sq. ft., Margosa & Silk Cotton Lawns are a picture perfect venue to host all your outdoor events. They can accommodate 700 guests in total. The lawns are beautifully maintained and the greenery makes you forget the hustles of the city life. 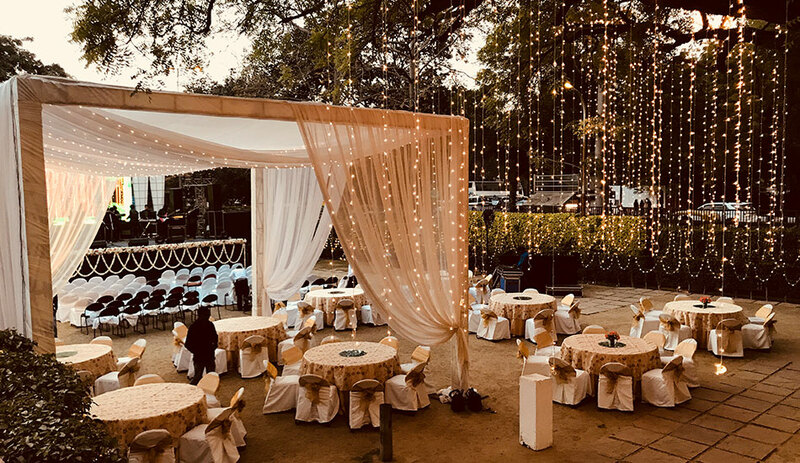 The lawns can easily accommodate variety of functions including pre and post wedding functions, private parties, and more. 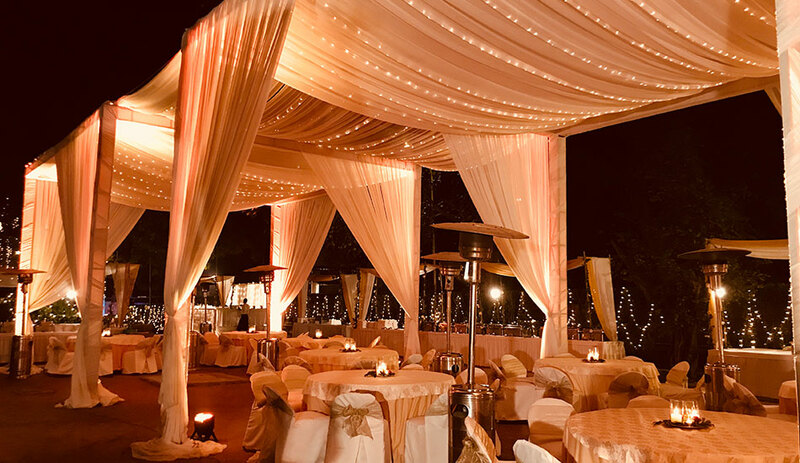 We have the most experienced decoration team with exquisite catering options to make your events memorable. To know more about this venue, kindly fill the inquiry form.